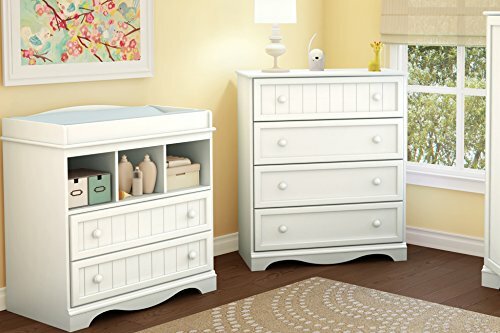 The details are what give this set a much-loved classic look that will help create a warm, cozy nursery for your little treasure. We'd all love for them to stay babies forever — but they'll grow fast (as we all know!). 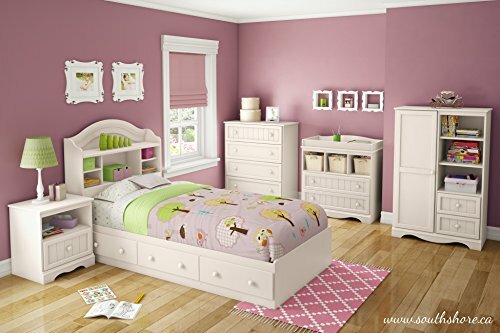 So we created kid's room furniture for the same collection: when baby is older, just complete the room by adding more pieces to what you have. Love it! 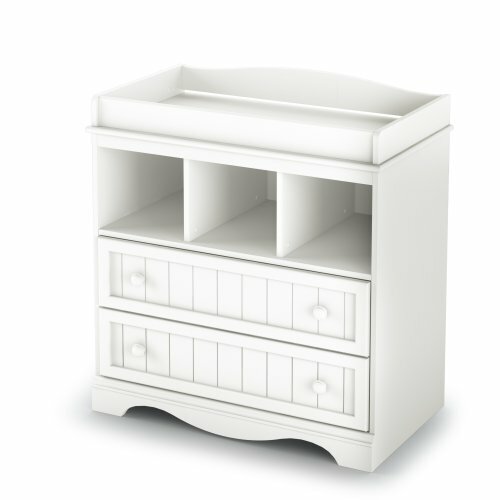 This country style changing table features rounded contours for your baby's safety and comfort. Wooden knobs . None removable changing station. 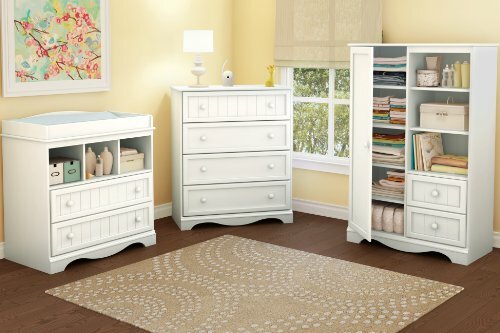 Features 3 easy-access open storage spaces. Features 2 practical drawers. Rounded contours and a secure front panel for increased safety. Metal drawer slides. Can support a total weight of up 30 lb. 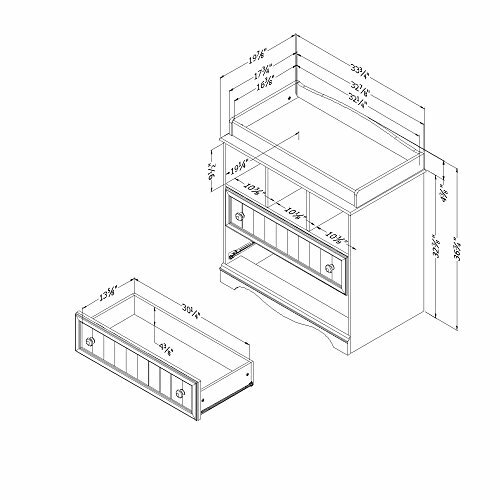 Drawer dimensions #1: 30.25'' (L) x 13.625'' (D) x 4.375'' (H). Shelf #1 dimensions: 10.375'' (L) x 19.25'' (D). Meets or exceeds all North American safety standards. Mattress and accessories not included. Requires complete assembly by 2 adults (tools not included). 33.75'' (W) x 19.875'' (D) x 36.75'' (H). Box dimensions: 59.882'' (L) x 20.787'' (W) x 6.89'' (H), 94 lb. Packaging tested and certified to reduce the risk of damage during shipment. Made in North America with non-toxic laminated particleboard. 5-year quality guarantee. Any questions? 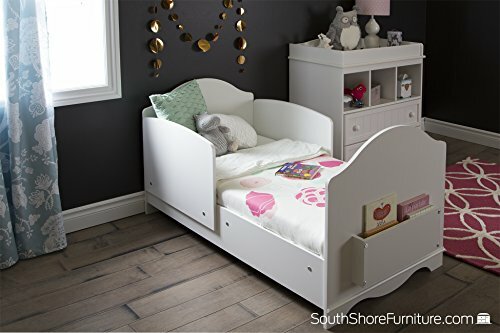 Contact South Shore, the manufacturer, available 7/7 by phone, email or chat. Complete assembly required by 2 adults. Tools are not included. 5-year limited warranty. Made in Canada.